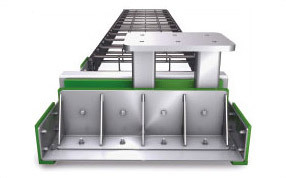 Misalignment between driven tow arm on the crane side and cable carrier cannot be avoided for crane systems with long travel paths. 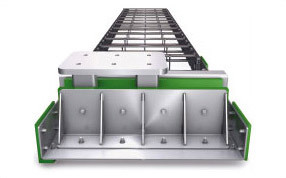 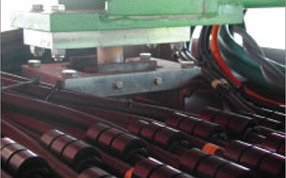 When using KABELSCHLEPP's Floating Tow Arm carriage, there is no rigid connection between the driven connection of the cable carrier and the floating tow arm. 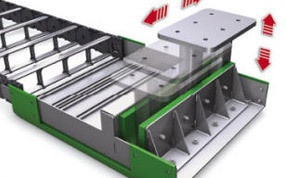 Lateral offset and height offset are balanced. 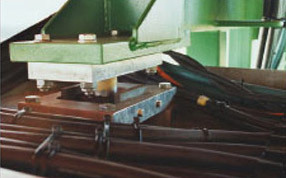 Floating Tow Arm shown in various possible operating positions.